NEON is the working title for the Legacy development to be undertaken after 2012 on the site of the Olympic Media Centre. 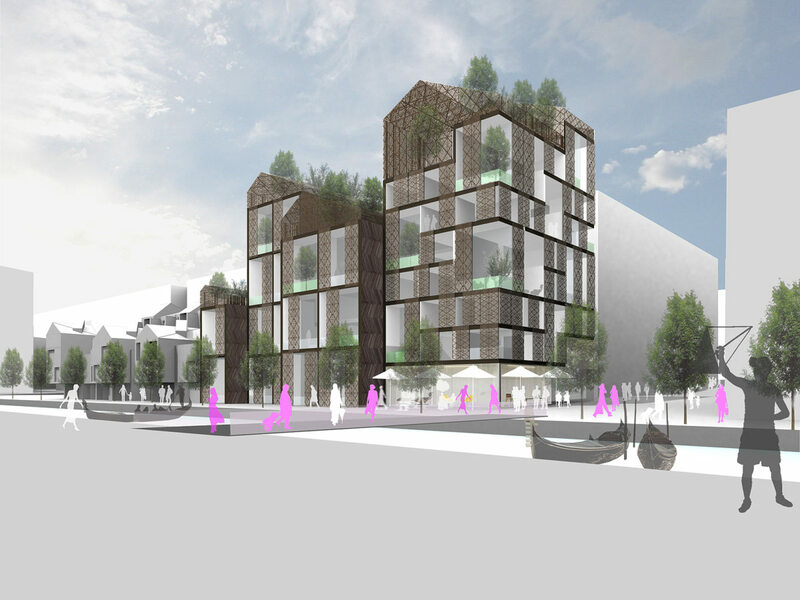 Our proposal for its southernmost site is a series of buildings composed of stacked farm-houses or farm-lofts, intended to become hub for creative businesses. 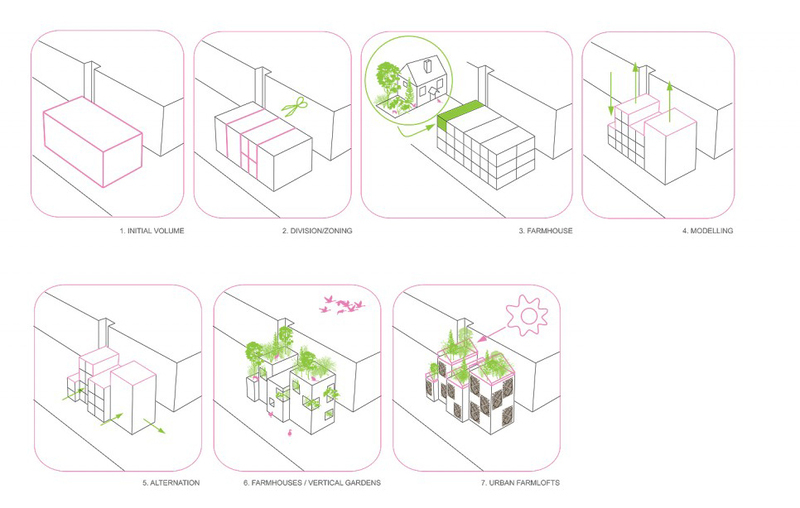 the corner building has a double height communal rooftop garden. 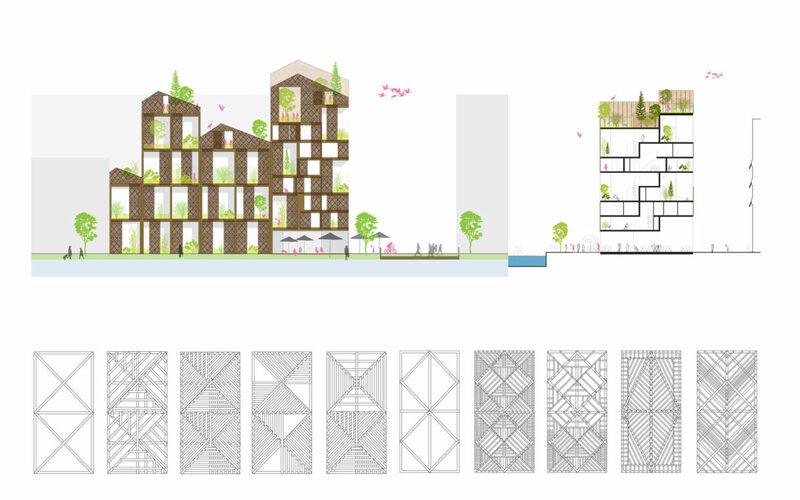 The buildings will have a distinctive cladding of patterned timber lattices and simple timber rainscreen. The patterns are derived from 19th C handmade quilts. These patterns play with scale and density to give each building a unique character. The sliding aluminum and timber screens will provide sun shading and privacy, and allow climbing plants. The buildings will seem solid from afar, only appearing as a translucent filigree as one approaches.